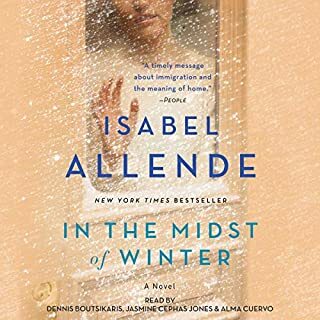 From New York Times and internationally best-selling author Isabel Allende, an exquisitely crafted love story and multigenerational epic that sweeps from San Francisco in the present day to Poland and the United States during the Second World War. 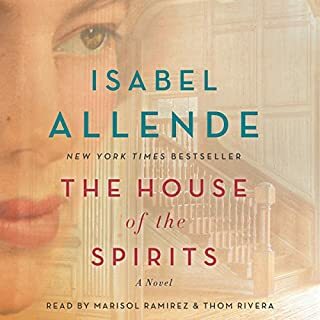 In 1939, as Poland falls under the shadow of the Nazis, young Alma Belasco's parents send her away to live in safety with an aunt and uncle in their opulent mansion in San Francisco. There, as the rest of the world goes to war, she encounters Ichimei Fukuda, the quiet and gentle son of the family's Japanese gardener. Unnoticed by those around them, a tender love affair begins to blossom. Following the Japanese attack on Pearl Harbor, the two are cruelly pulled apart as Ichimei and his family - like thousands of other Japanese Americans - are declared enemies and forcibly relocated to internment camps run by the United States government. Throughout their lifetimes, Alma and Ichimei reunite again and again, but theirs is a love that they are forever forced to hide from the world. Decades later, Alma is nearing the end of her long and eventful life. Irina Bazili, a care worker struggling to come to terms with her own troubled past, meets the elderly woman and her grandson, Seth, at San Francisco's charmingly eccentric Lark House nursing home. 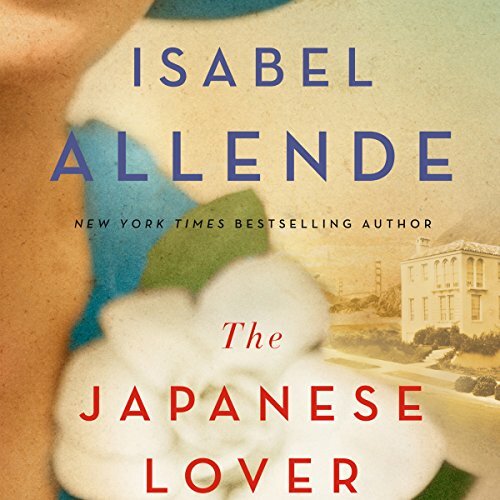 As Irina and Seth forge a friendship, they become intrigued by a series of mysterious gifts and letters sent to Alma, eventually learning about Ichimei and this extraordinary secret passion that has endured for nearly 70 years. Would you try another book from Isabel Allende and/or Joanna Gleason? I would try another book by Isabel just because I respect her previous writings so much - will never purchase a book read by Joanna Gleason. I am halfway through this book and it is the first time in a long while that I am forcing myself to listen to the end. Her narration is horrible, no modulation, no change in character's voices (when they do speak). Very, very amateur. None of the characters are of any interest to me since they are written so poorly. I am sure in better hands the story would come alive and we could root for them but, as is, the story is plodding. I was so looking forward to reading this latest novel of Ms. Allende knowing how beautifully and movingly she can write. Not sure what happened with this one but it needed major revisions. A very boring story. No heart. Poor character development. Disjointed. Predictable. Glad when it ended. This book was not written well at all. 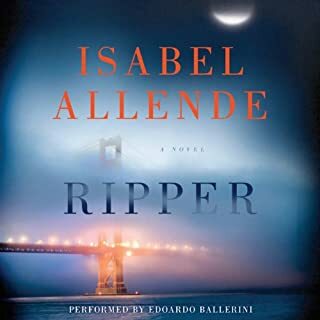 Would you ever listen to anything by Isabel Allende again? I was not impressed by the author or her storytelling. This story had great potential and big themes, but the writing was so flat. The story is just told, not shown, if that makes sense. There is almost no dialogue, and it just reads like an overly long summary. The performance was also flat, with no voices given to characters when there WAS dialogue. What character would you cut from The Japanese Lover? I can't even remember her name (that's how unmemorable she is), but the Moldovan girl who is supposed to be important in the story just isn't. I do not recommend this book, at all. I really wanted to like it, and from the synopsis it sounds right up my alley. I love history and peoples' stories, but this book was just terrible on all counts. Poorly written, uninspired narration, and very flat overall. If you're looking for fast moving action, this isn't the book for you. It's a thoughtful analysis of the theme of loss and love deferred. Each of the characters faces a love they desire but cannot or will not have for whatever reason. But they live fulfilling and thoughtful lives. A treatise on love and the end of life beautifully rendered. Amazing love story full of surprises. Allende's great talents brings you back to so many different time lines. Truly amazing. This story is so real. The people have problems and find others to help and support them. There are surprises and twist and turns. I listened to it twice because after on time I felt I had not understood the first half. Then as I listened the second time it all came together. A great story. What a horrid narration of what should have been a good book. I'll avoid Joanna Gleason as a narrator, for sure. 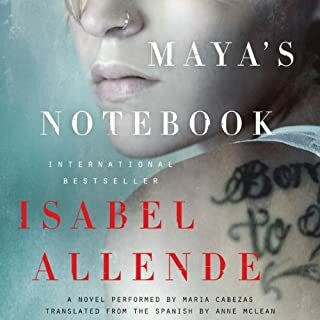 Overall the book was not nearly as well done as other Allende masterpieces, but it's kind of unfair to judge after hearing the book read so poorly. Did not like narrator or story line. Better story and character development. What didn’t you like about Joanna Gleason’s performance? I have spent a few glorious hours listening to Isabel Allende s excellent new novel. A long time passionate admirer of this Author's work, I was at first puzzled at the style of this novel at the beginning and also not very enthusiastic with the mode of oral delivery. I hesitated. But now, I am glad I persisted. Although there is a lot of historically important detail, I felt, "crammed in " unnecessarily, I came to see that there may be a new generation of listeners to whom these momentous events are unknown and it needs retelling. From the Balkans to Japan, the U.SA., forgiveness and love have to be fore grounded, always. This is where the similarities with the earlier, "magical realism" novels are the strongest. Perhaps Age is a character in this novel and it helps the listener to understand and share. It reminded me of Alice Munro and Elizabeth Strout's work-fine company to be in. Written and translated into English beautifully. Narration perfect. A deeply touching story demonstrating all Allende's skill and understanding of human sensibilities. 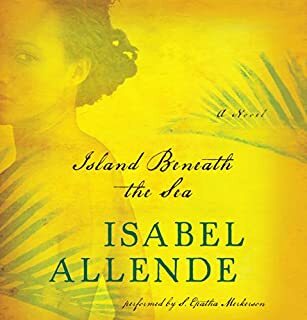 Isabel Allende is one of my favourite authors. 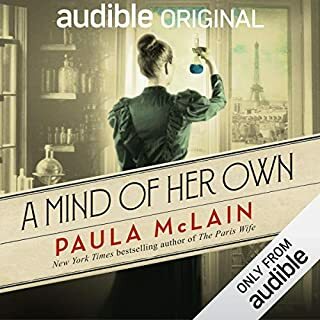 When I initially started listening to this I was quite surprised by how different this seemed to be from previous books of hers, but I absolutely loved it. I found this to be a warm story populated by a host of likeable characters - I fell for every single one. The narrator's voice fit the story really well, I thought. From the start I wasn't entirely sure where the story was going, which I like, and very much enjoyed being taken along for the journey. This is a gentle, enjoyable listen, without much peril and drama but with a lot of heart. The first Allende I have listened to rather than read and a real treat. Beautifully crafted and beautifully read, a feat for the senses. I love this author and although I enjoyed this book it was not as captivating as other novels. A wonderful lovestory. It do well written in a beautiful language. I can really recommend this book. Also the performance is great. I thought this was an interesting, multi layered story that was well told and well performed. I was a bit worried that it might be a bit chick lit but it wasn't at all. A great listen! Will need to listen again kept falling asleep due to monotone voice. Interesting revelations kept until the end! Isabelle Allende is my favorite writer. I believe Ive read everything even her cook book. This story was very sweet and full of history. The family somehow seemed like my own. The writing draws you in to such an intimate space I felt akin to each and every character. Everytime I read one of Allendes books theres always some common thread that connects me to the book. My own father died 4 weeks ago. I celebrated his life alone because I live in a separate country from my family. This story melted my heart at times. I adored it. Thanks Isabelle once again. Isabel Allende never fails to provide a enjoyable experience. Her understanding of human nature is amazing, and her ability to express it is rare.